Home / Roofing / What Should Be in Your Fall Maintenance Checklist? What Should Be in Your Fall Maintenance Checklist? Fall is just around the corner, and this upcoming season is arguably the best time to do some much-needed maintenance work on your home before the cold season starts. Tedrick’s Roofing discusses what should be in your fall maintenance checklist. 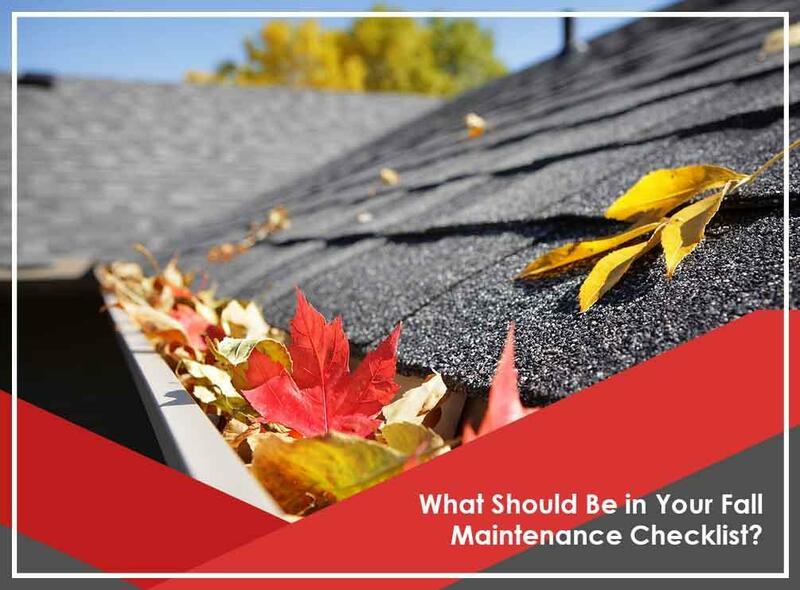 An in-depth inspection of your roof should be on top of your fall maintenance checklist. A leaking roof puts your home at an even bigger risk come winter when water isn’t the only thing leaking into your home. A leak on your roof also reduces your home’s energy efficiency and comfort levels. Make sure you have a professional do the inspection. At Tedrick’s Roofing, we have considerable experience under our belt and we can identify roof problems that might otherwise be hidden to your untrained eye. Blocked gutters pose a real danger to your home during the colder seasons. A gutter clogged with dead leaves, branches, and granules can cause severe damage to your roof, walls, and even your basement! If your gutters have seen better days, then we suggest a new gutter installation this fall to replace your old one. The last thing you want, after all, is ice in the gutters pulling down on the roof. Finally, make sure your attic has ample ventilation before winter arrives. Improper ventilation can cause heating problems and may even cause your roof to dry up and crack prematurely over the course of winter. Proper attic ventilation also ensures that no moisture condensation occurs in your attic space. Condensation can be problematic as it can cause moisture damage on your roof, skylight, and the hardware in your attic space. Give us a call at (877) 212-9355 for more information on our services. We offer gutter installation throughout Seattle, WA, and the surrounding areas.